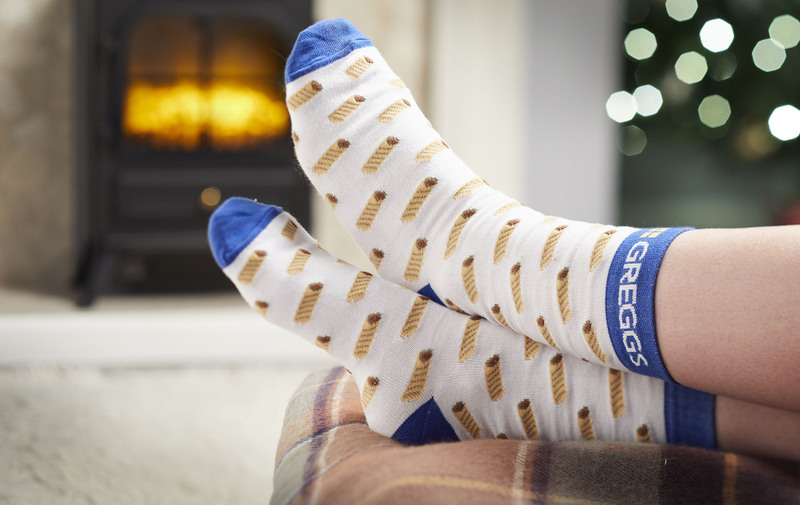 Attention all Greggs fans: you can now cosy up in a Christmas jumper with your favourite sausage roll printed on it. Finding the perfect Christmas present for everyone on your list isn’t always easy. Especially for those parents, siblings, partners and friends who seem to just have everything already because now that we’re grown ups we can actually buy ourselves whatever we want (not that the bank account thanks us for it). So high-street bakery Greggs has stepped in to take away some of the Christmas shopping stress with their new festive gift range. For all the Greggs lovers and sausage roll fans in your life you can now get a range of gifts dedicated to showing their love for the British favourite. The pastry chain’s Christmas line of novelty gifts includes a reusable coffee cup (because #zerowaste) decorated with sprinkled doughnuts and sausage rolls, a pair of socks showcasing either the lunchtime pastry or the sweet treat and a Greggs phone case printed with the popular bake. 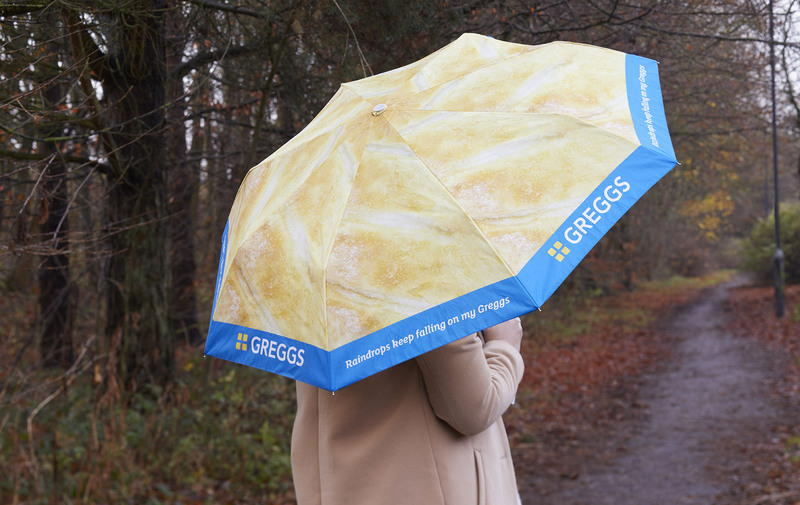 They’re even selling a large umbrella covered with a close-up of the meaty snack, to save you from rainy days throughout the British winter (though we’re sure you’ll get some use out of it even when June hits). And for the ultimate Greggs devotee? Get them a month’s worth of lunchtimes at their favourite bakery chain with the High Roller Greggs gift card. 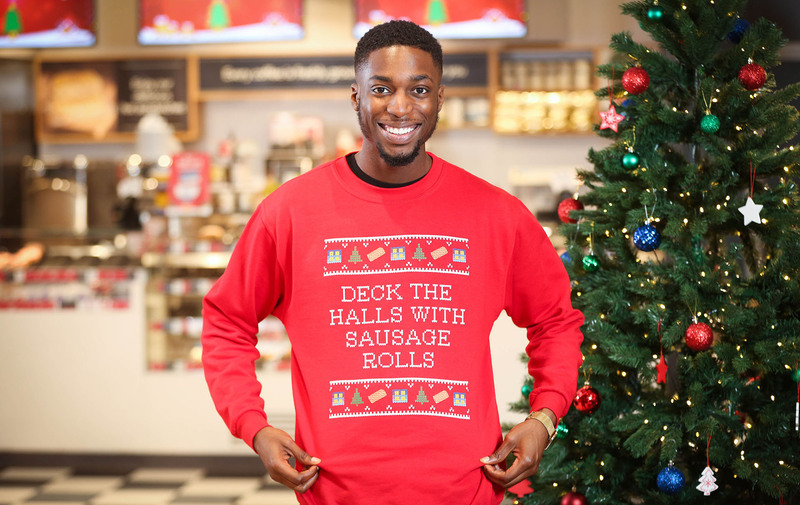 Or to get them in the festive spirit, Greggs’ Christmas jumper with an ode to sausage rolls is the perfect outfit for the big day. If that wasn’t enough, the lunchtime chain will even wrap your Christmas presents for you. With 47 per cent of the nation saying that they dread wrapping presents in a recent survey by Greggs, the bakery decided to offer free gift-wrapping in certain branches. Between 11th and 13th December customers can relax with a free glass of mulled wine while a Greggs elf wraps their presents in selected branches in London, Birmingham, Manchester, Newcastle and Glasgow.